For storage Oldtimerfarm works according to the same tried and tested principle as the consignment sale. You give us your car, we put it on display and you get it back from us. 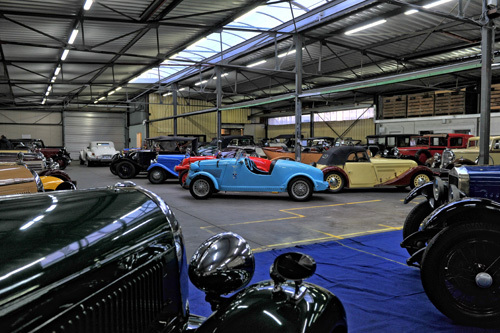 In the meantime, the car is stored in an air-conditioned and secure room (no moisture) near other classic cars in a room that is not open to the public. Only our employees have access to your car. An important advantage is that, as a storage customer, you also have privileged access to our other services, especially the workshop but also the transport service and, if necessary, the sales and insurance. Base price is 65€/month (ex. VAT) on a 6-month basis for a normal car. Shorter terms and larger cars are also possible (see price list). In addition to the storage facility we offer - on request - a number of extra services that improve the storage and condition of your car. From trickle chargers, tyre pressure control, running the engine monthly, minor repairs, collection and delivery to a “boarding and drive at all times” package. For all the times when a classic car has to be moved from A to B we have a pick-up and delivery service at your disposal. It does not matter where the car should be picked up or delivered, or for what purpose. Whether it’s for storage or participation in a rally, a return ... we will arrange it for you down to the last detail at home and abroad. We offer various possibilities of transport. On an open or in a closed trailer. In a trailer or in a truck. The choice is yours. We will be pleased to make a quote, without obligation. 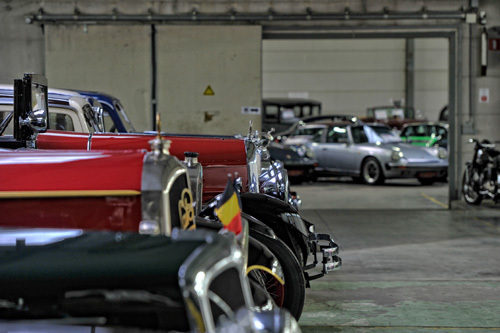 In short, we offer you the certainty that your classic car is clean and safe in storage. Vehicles can be picked up and dropped off during the opening hours of Oldtimerfarm or by appointment. For extremely sensitive cars, we have a specail deal with permanent physical surveillance. More information on request. In consultation with you, a package will be put together in which your car - depending on the condition, origin, state and storage period - will be driven once a month for a limited number of kilometres. Enough to make sure that your classic car is always ready to leave. Of course, only in dry weather and by a driver that you know. After the ride, your car will be professionally cleaned and put back into storage like new.